I have dedicated a great deal of time to special issues in my research interest areas. On reflection, one of the most satisfying parts about my editing work, has been receiving so many awesome papers, from so many awesome academics. An editor is in the privileged position to accept papers for review and then to work with authors toward final revision and publication. Below are a list of special issues that I have completed, separate to my editing responsibilities at IEEE Technology and Society Magazine, where I served as an editor-in-chief between 2012 and 2017. There is a 'background' to every special I've completed with co-guest editors whom I've greatly admired for their effort and example. With time I hope to post the contents of each of the specials with links back to online availability. Prometheus: Critical Studies in Innovation (2006), Volume 24, Issue 4: The Social Implications of National Security, Edited by Katina Michael and M.G. Michael. Journal of Theoretical and Applied Electronic Commerce Research (2008), Volume 3, Issue 1: RFID and Supply Chain Management, Edited by Tim Coltman, Rajit Gadh, and Katina Michael. Computer Communications (2008), Volume 31, Issue 6: Advanced Location-Based Services, Edited by Miguel A. Labrador, Katina Michael and Axel Küpper. IEEE Technology & Society Magazine (2010), Volume 29, Number 2: Uberveillance, Edited by Katina Michael and M.G. Michael. Proceedings of the IEEE (2010) - RFID- A Unique Radio Innovation for the 21st Century”, Volume 98, Issue 9, Edited by Rajit Gadh, George Roussos, Katina Michael and George Huang. Journal of Cases in IT (2011), Volume 13, Number 2, The Social Implications of Emerging Technologies, Edited by Katina Michael, M.G. Michael and Roba Abbas. IEEE Technology and Society Magazine (2011), Volume 30, Issue 2: The Social Implications of Emerging Technologies, Edited by Katina Michael and M.G. Michael. Journal of Location-Based Services (2011), Volume 5, Issue 3-4: The social and behavioural implications of location-based services, Edited by Katina Michael and M.G. Michael. Computer (2012), Big Data: Opportunities and Challenges, Volume 46, Number 6, Edited by Katina Michael and Keith Miller. Electronic Commerce Research (2013), Service-Based Electronic Commerce Systems, Volume 13, Issue 2, Edited by Shiguo Lian, Xi Chen, and Katina Michael. IEEE Consumer Electronics Magazine (2015), Little Brother is Watching, Volume 4, Number 2, Edited by Katina Michael. IEEE Potentials (2016), Unintended Consequences, Volume 35, Number 5, Edited by Ramona Pringle, Katina Michael and M.G. Michael. 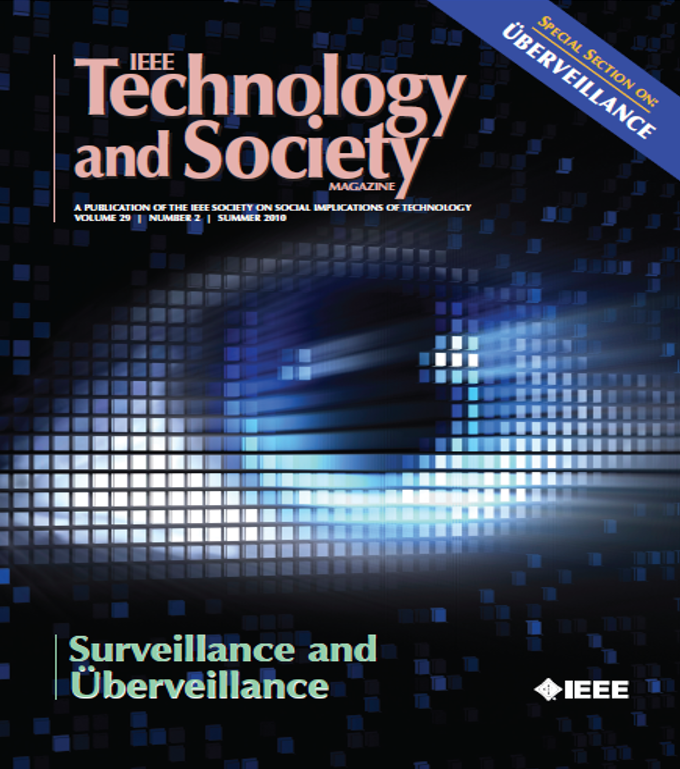 IEEE Technology and Society Magazine (2018), Robots and Socio-Ethical Implications, Volume 37, Issue 1, Edited by Katina Michael, Diana Bowman, Meg Leta Jones, Ramona Pringle. IEEE Robotics and Automation (2018), Socioethical Approaches to Robotics Development, Volume 25, Number 1, Edited by Noel Sharkey, Aimee van Wynsberghe, John C. Havens, Katina Michael. Proceedings of the IEEE (2019), Machine Ethics: The Design and Governance of Ethical AI and Autonomous Systems, Volume 107, Issue 3, Alan Winfield, Katina Michael, Jeremy Pitt, Vanessa Evers. Below is a gallery of IEEE Technology and Society Magazine issues that I have overseen between 2012-2017. I have also been responsible for more than a dozen special issue journals since 2008. In 2015, I took on the senior editor role at IEEE Consumer Electronics Magazine. I have previously been a member of the Editorial Team in Elsevier's Computers & Security and Springer's Social Network Analysis and Mining, and presently also serve on the Ethics in Biology, Engineering and Medicine: An International Journal. I owe a great deal of my early start in editing to Professor Narciso Cerpa formerly of UNSW and then Talca University in Chile, who begun the Journal of Theoretical and Applied Electronic Research (JTAER) seeing it through to ISI entry. Narciso gave me a chance to be the Technical Editor of the journal for four years and I am indebted to him for his mentorship. Here we are again at yet another Panel of Editors Conference for IEEE, this time in Montreal, Canada. In this large ballroom are IEEE staffers (nametags in yellow), and IEEE editor volunteers (nametags in white). Each day we begin by introducing ourselves, member by member from the front of the room to the back. The talks this year have ranged greatly, from ScholarsOne training on day 1 (the submission system for IEEE), to towards on submission process improvements, improvements in system interfaces, improvements in email templates to authors and reviewers, educational materials to support new submitting authors, examples of good practice in editorship, the importance of the 5-year PRAC review, the characteristics of healthy publication outlets, break out sessions with Magazine, Journal and Transactions separation, and much much more. It is about the only time of the year, that people who work so hard to bring technical publications for the IEEE get to meet in the flesh. For me, as the Editor in Chief of IEEE Technology and Society Magazine and Senior Editor of IEEE Consumer Electronics Magazine, it is a chance to mingle with other editors to pick their brains and to suggest future joint specials. In a meeting just like this, 2 years ago, the seed was sown for this joint special with IEEE Robotics and Automation Magazine. This year, I got to chat with Prof Saraju Mohanty and we've considered the possibility of several specials already, one on the much needed autonomous vehicle, and perhaps others related to one or more of the following areas: deep learning, resistive memory, neuromorphic computing and visual information recovery in IOT, and possibly the integration of nanotechnology and IS (e.g. mechatronics) each with respect to consumer electronics. The below picture is a once a year possibility at POE. From left to right is myself, Terri Bookman (managing editor IEEE Technology and Society Magazine), Jessica Barragué (IEEE), and Craig Causer (managing editor IEEE Consumer Electronics Magazine). I could not be surrounded by more beautiful people. For the last 6 years we have worked together to produce STC award winning Magazines for technical communications. It just goes to prove these days the act of editing is NOT a solo endeavour, just the contrary. Editing requires the collaboration of technical and non-technical people, each with their important contribution. Missing from the photograph are at least another 10 people who would complete the end-to-end process of editing-to-production. Feel very blessed to have been so supported by wonderful dedicated staffers. The brilliant Terri Bookman (below right) has been editing IEEE Technology and Society which is now in its 36th year, 'forever'... well if I am not wrong for at least 2 decades... without her I would not have survived my editorship for two terms at the Magazine. Instead, Terri and I have tackled every issue with such complete harmony, helping each other to get things out even when workload times were tough. Terri acts with precision, is patient, and knows how to make works readable if they are deficient in any way. This year sees me editing T&S for the 6th year, beginning with a handover in December 2011 and initially mentored by the previous editor Professor Keith Miller. Three issues to go, and I will be handing over the reins to the new editor. Emotional already, but I've had the time of my life growing the Magazine which has made a big impact in the IEEE global community. Last year we exactly doubled the number of individual entries in the Magazine, and almost doubled the number of citations. That is pretty exceptional when I consider we have a very limited page budget and only published about 25 peer reviewed papers per year, and the rest are commentaries, opinion pieces, leading edge pieces, columns like the Last Word, in the news, book reviews, editorials and guest editorials, Introductions to special issues, letters to the editor, President messages and more. Source: Graphs above reported on Web of Science database and downloaded April 1, 2017. 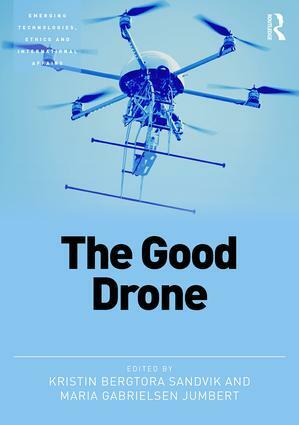 This series examines the crucial ethical, legal and public policy questions arising from or exacerbated by the design, development and eventual adoption of new technologies across all related fields, from education and engineering to medicine and military affairs. The books revolve around two key themes: Moral issues in research, engineering and design ¢ Ethical, legal and political/policy issues in the use and regulation of Technology This series encourages submission of cutting-edge research monographs and edited collections with a particular focus on forward-looking ideas concerning innovative or as yet undeveloped technologies. Whilst there is an expectation that authors will be well grounded in philosophy, law or political science, consideration will be given to future-orientated works that cross these disciplinary boundaries. The interdisciplinary nature of the series editorial team offers the best possible examination of works that address the ’ethical, legal and social’ implications of emerging technologies. I have been fortunate to have been an editor in varying capacities between 2005 and 2017. 2005-2010: Inaugural Technical Editor of the Journal of Theoretical and Applied Electronic Commerce (JTAER). Mentorship received by editor in chief Prof. Narciso Cerpa of the University of Talca. 2010-2012: Editor of Elsevier's Computers & Security (COSE). Mentorship received by academic editor Dimitris Gritzalis of Athens University of Economics & Business, and editor in chief Eugene H. Spafford of Purdue University. 2012-2017: Editor of Springer's Social Network and Mining Analysis (SNMA). Mentorship received by Professor Reda Alhajj of the University of Calgary. 2012-2017: Editor in Chief of the IEEE Technology and Society Magazine (T&S). Mentorship received by Past Editor in Chief Professor Keith Miller, at the time at the University of Illinois, Springfield, and the brilliant managing editor Ms Terri Bookman. 2015-Present: Senior Editor of the IEEE Consumer Electronics Magazine (CEMAG). Mentorship received by Past Editor in Chief Professor Peter Corcoran of the University of Gallway, current Editor in Chief Professor Saraju Mohanty of the University of North Texas, and the brilliant managing editor Mr Craig Causer of the IEEE. 2016- Present: Associate Editor of Begell House's Ethics in Biology, Engineering and Medicine: An International Journal. Mentorship received by Editor in Chief Professor Subrata Saha of the University of Washington.